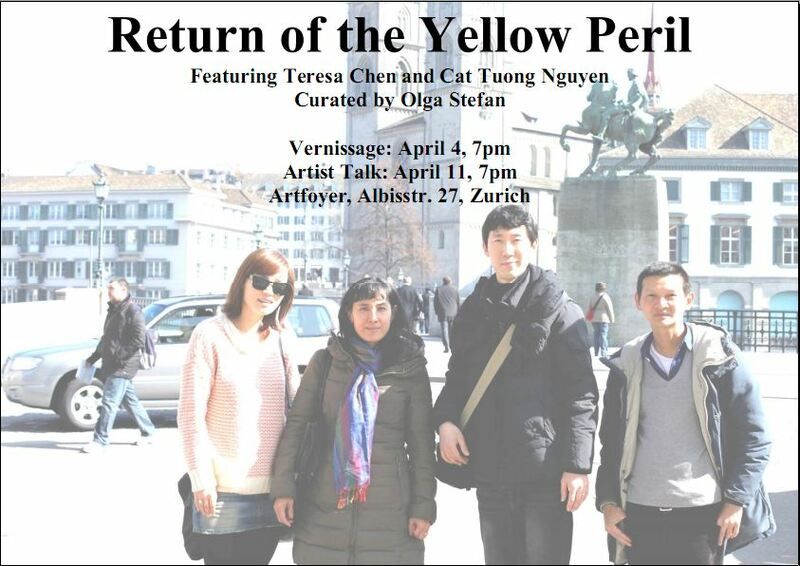 Based on a previous collaboration done in 2001 in Paris, where the two artists ran around the city photographing themselves with anything that was yellow to highlight and poke fun at the denigrating expression, yellow peril, used in the late 19th century to describe Asians migrating to the West in search of work, Teresa and Cat Tuong will revisit the topic for this new exhibition. Return of the Yellow Peril features a collaborative work exploring identity, belonging, and issues associated with immigration as well as perceptions and misconceptions in the Western mind of the “Asian” identity. Individual works and an installation will also be exhibited.